Princes Rapunzel, Ariel and Jasmine decided to try something new for themselves. The world does not stand still and fashion too. Now very popular clothes in the style of hipsters. Therefore, for the princesses it was very useful. 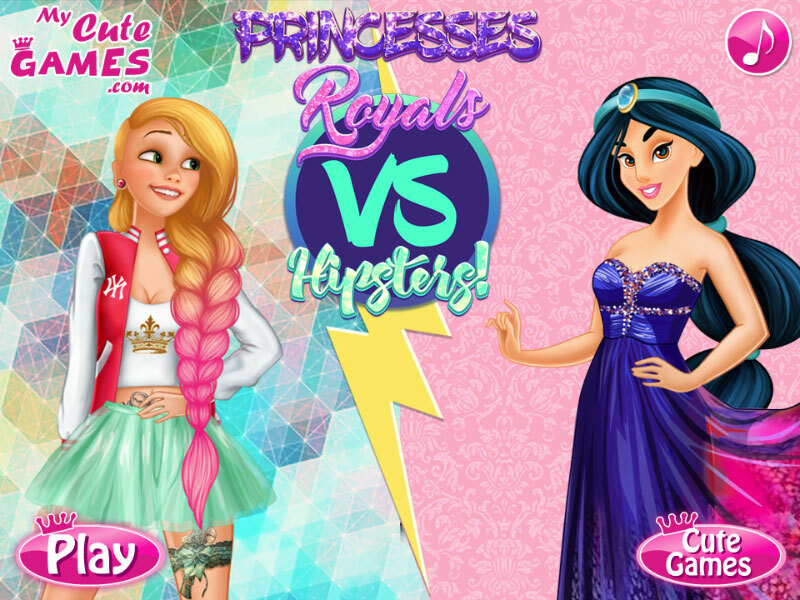 In this dress up game you will learn how princesses changed their royal attire for hipster clothes and what came of it. In addition, our favorite girls posted the result of their choice on Facebook and now fans will be able to rate. In this way, we will find out which version of clothes in the battle of princesses against hipsters scored the most likes. Played: 1305. Added: 18-03-2019, 08:36. Rapunzel vs Jasmin dress up game. Princesses ariel, jasmine, rapunzel hipsters.